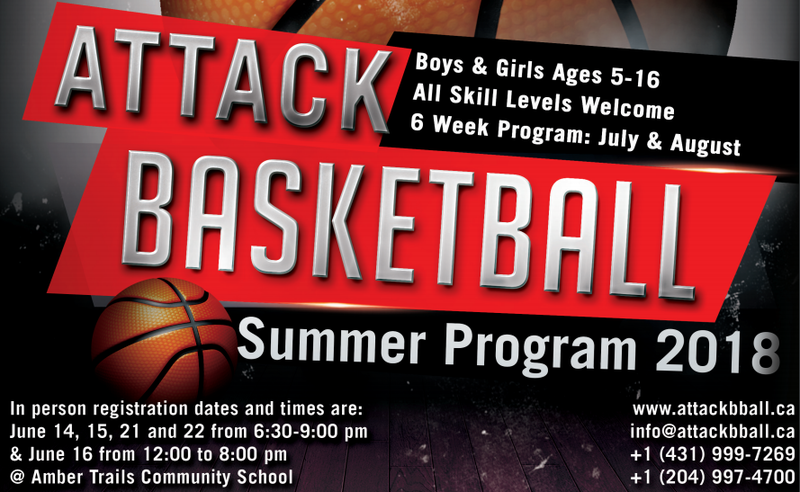 The Attack Basketball Club has announced they will be offering a 6 week basketball camp program this summer for boys and girls ages 5-16. The program will run in July and August with registration occurring June 14, 15, 21 & 22 from 6:30 - 9:00 pm and June 16 for 12:00 - 8:00 pm at Amber Trails Community School, 1575 Templeton Ave in Winnipeg. 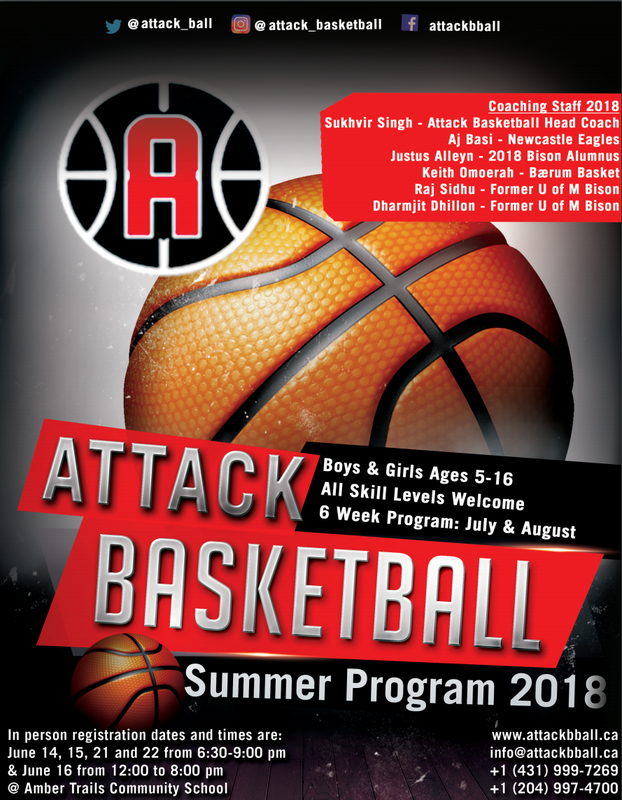 The camps will run out of that school as well. 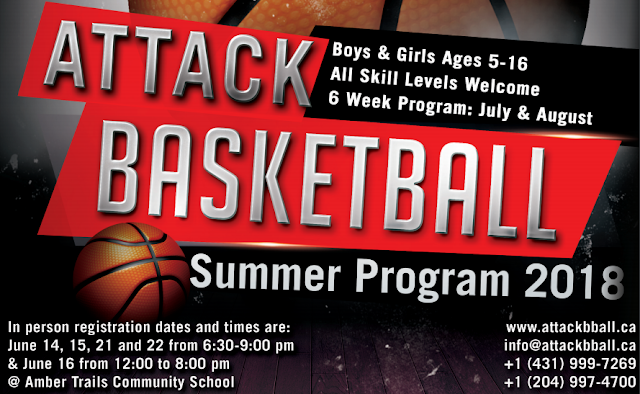 For more info, see the below poster or go to http://www.attackbball.ca.